If you want the ultimate experience in a multi stack strength-training environment, the VX-4800 is for you. This gym allows for multiple users training at the same time. 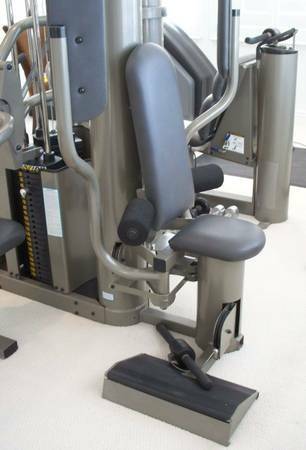 There are four weight stacks for 4 stations including leg press and tricep, pec, lat, and low row, multi chest and squat, shoulder, row, leg extension/ curl, abs. Leg press has a 350 lb weight stack and the other three are 210 lb stacks.